These days, we use our laptops and our smart phones so much that it is rare occasions that we actually pick up a pencil or a pen to write something. From emails to notes, shopping lists to drawings, everything is digitalized nowadays. Still, it is important to know how to have better handwriting, because even though we don't often use our hands to write something, a good handwriting is a symbol of precision and elegance. There are some rules that you can follow to improve your handwriting so that the few times that you do write, the words come out beautiful. 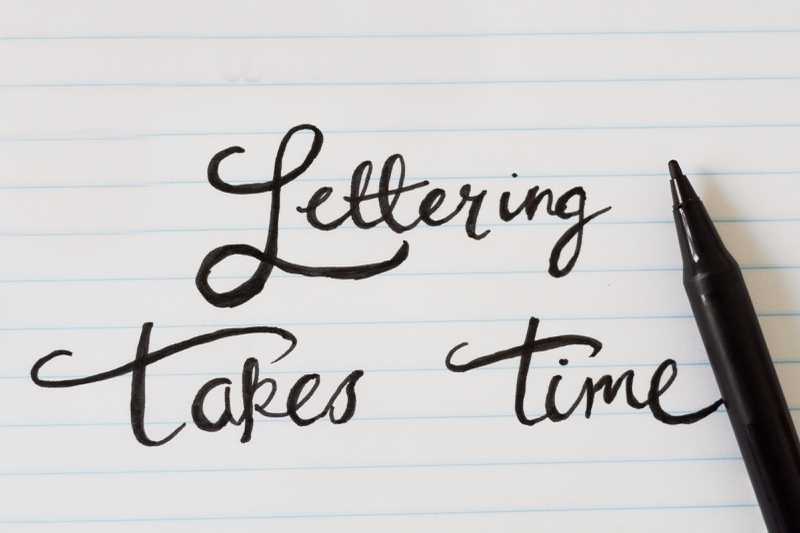 In order to learn how to have better handwriting, you can follow these following 10 tips. People's opinions vary on writing tools when it comes to knowing how to have better handwriting. For some people, fountains pens can help the most with handwriting, but these things are neither common nor cheap. Other people love to use gel-based pens, but they are not very practical when you have to write a lot. Actually, the preference of writing tools can differ on the person using it. If you are more comfortable with pencils than with pens, then just forget about the idea of buying an expensive fountain pen or a gel-based pen. If you are not sure what kind of pen would suit your hand the most in order to learn how to have better handwriting, start experimenting right now. It is not necessary that you need to buy expensive fountain pens at the beginning; just start with regular ball-point pens that are available everywhere. Experiment with pens that have different types of nibs - thick ones and thin ones; at the same time, pay attention to the overall design of the pen, whether the body is too thick for you to hold comfortably, or too slim that you can't grip it. Whether you are a right-handed or a left-handed person is also important, especially when you are buying writing materials. For left-handed people, specially designed pens are available in the market that dry quickly and do not smudge when you move your hands. A good posture is also very important in knowing how to have better handwriting. There is a definite angle that your hand needs to sit on the paper or the table for good handwriting - about 45°. Your posture needs to be straight when writing, and the surface or the table you are writing on should be big enough to rest your elbows on. The surface that you are writing on should be big enough for your hands to move around freely, as well as cleared of all clutter. If you use a tiny space to write where you can't move your arms, your handwriting would not come out good. Be sure to select a location that will allow you the freedom to write with ease. Many people don't know the proper way to grip a pen, and this results in illegible and bad handwriting. Try holding your pen with your thumb and pointing figure, and let it rest on the base of your thumb. Ideally, the pen should be right between these two fingers, and rest lightly on the knuckle of your ring finger. Your grip on the pen should be strong, but not with excessive pressure. If you squeeze your pen too much, your hand would start to cramp within minutes of writing. However, if the conventional ways of holding a pen do not work well for you, try different styles to see which one helps you write faster and in a more beautiful manner. Before your start writing, stretch your fingers a little. Roll the wrists for a few times, and flex your fingers, especially if you haven't written recently. This will help loosen your fingers which have a tendency to become stiff if you haven't done anything with them for days. If you are a regular smart phone and laptop user, your fingers would be rigid from not moving too much, and you would need to stretch them a little before you want to write something. Remember when you first learn to write back in schools - with a lined sheet to get your capital letters and small letters right? These lined sheets are still of great help if you want to make your handwriting better. So, if you are learning how to have better handwriting, practice on a lined notebook so that you can keep your lines and your alphabets straight. This is a problem mainly with young children - they put too much pressure on the pencil or the pen that they are using, causing the words to be unsmooth, especially when writing in cursive. Your pen needs to glide over the paper in a smooth manner, not poke holes into it! What you need to do is to hold your pen lightly, and let the words come out easily. When you are trying to write beautifully, take your time and don't push. Writing in a hurry rarely turns out good, not even for someone who has a truly beautiful handwriting. When you are copying something in a class or writing for an exam - it's inevitable that you have to be fast and thus, your writing would probably come out bad. But when you are practicing and learning, go slow and take your time with each alphabet.